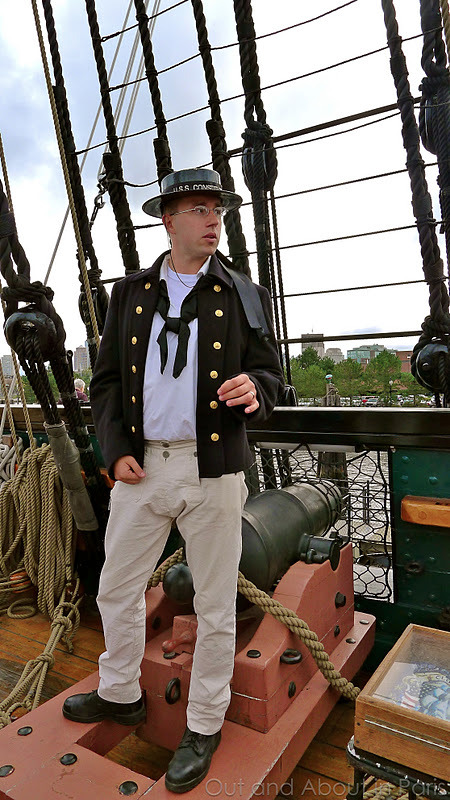 What does the USS Constitution ("Old Ironsides") have in common with Paris? While doing a bit of research after my visit aboard the USS Constitution ("Old Ironsides"), I was excited to learn that the US Naval ship carried American exhibits to the Universal Exposition in Paris when she went on her last trip across the Atlantic in 1878. Thinking that this may have been the same year that the Eiffel Tower was built, I was disappointed to learn that the two events didn't coincide with each other. And then I realized that I was being foolish because the USS Constitution is famous in her own right. With an impressive 33-0 engagement record for battles fought at sea, she doesn't need to have her reputation enhanced by some convoluted connection with Paris. 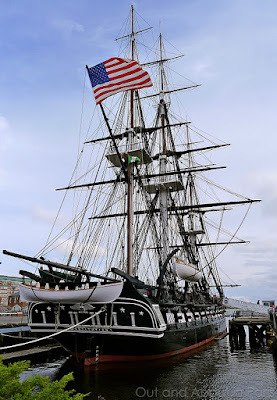 Built in Boston in 1797, the frigate was launched as one of the first six ships of the United States Navy. Thanks to the "sandwich" design of her hull (white oak/live oak/white oak) that is 24 inches thick at some points, she defeated the HMS Guerriere, the British 38-gun frigate, in a decisive battle that lasted approximately 35 minutes during the War of 1812. This dramatic victory, one of the shortest in naval history, earned her the nickname "Old Ironsides" when an unnamed sailor said, "Huzzah, Her sides are made of iron!" With thirty 24-pounder long guns on the gun deck and additional guns on the spar deck, Constitution was a formidable opponent. Manned by a crew of 7-14, each gun had a range of approximately 1,200 yards and a recoil of five feet. It was the job of the younger sailors, some as young as 8 years old, to keep the crews supplied with gun powder. The crew of 450-500 included 55 marines, 8-10 ship's boys and 30-40 officers and midshipmen. It's not too difficult to imagine what the enclosed berth deck probably smelled like considering that the men were only given one gallon of water per day for drinking, bathing and washing their clothes. The sailors slept in four-hour shifts in hammocks hanging from the ceiling. As the oldest commissioned warship afloat in the world, the USS Constitution is crewed, maintained and operated by the US Navy. For more information about the USS Constitution, please watch this excellent YouTube video that was produced from footage shot by Tony Mason during our visit. Many thanks, Tony, for capturing this memorable experience on film! 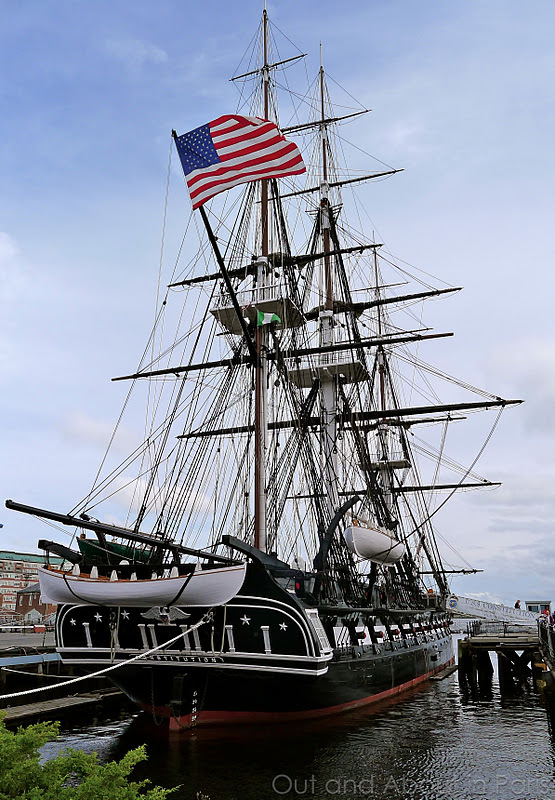 USS Constitution is open for public visitation year round. The guided and self-guided tours are free. Just remember that you may be required to show a form of valid ID. Click here to read about John Paul Jones, "Father of the American Navy". I love old boats, old wooden boats. Did it feel cramped and small, or spacious? (As spacious as an old boat could be?) Of course with up to 500 men on it, nothing would feel too spacious, but some old wooden boats do maintain an open feeling. Wouldn't you love to climb the mast to get a view? 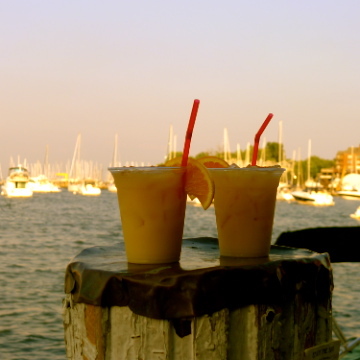 I love old boats, too - like Woodwind in Annapolis. Constitution is a majestic boat - none of my photos really do her justice because she's much larger than she appears in the pics. Having said that, I'm almost 5'6" and my head touched the lower beams on the berth deck. It would have been tight quarters for the crew and all of their gear. One thing that you may find interesting is that there was 1 (!) cook for all of the sailors and 1 for the captain (and perhaps the other officers and midshipmen). No 3 star dining for the crew!